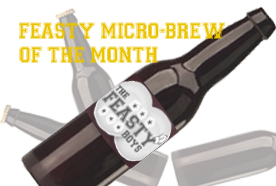 Welcome to the Feasty TV Video Gallery. Here you will find the latest clips from our show, The Feasy Boys, and other exclusive clips. If you like what you see here, head to our Feasty YouTube page to see even more videos! Plus, don't forget you can send us a recipe idea or book us for an event by contacting us!